SHOEPORN. You just gotta love Christeric for this insane DIY project!! OMG!!! those shoes are insane!! 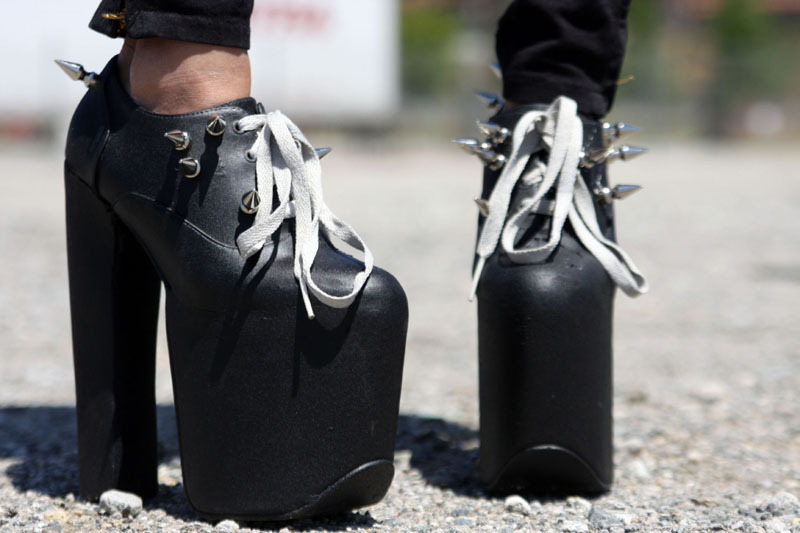 wow, shoes are getting crazier and crazier ..
Wow those are really monster shoes haha. Love them! OMG!!!! I never seen before something like this..
Wow these truly are killer! I know isn’t it crazy!!!! I was super impressed! These are quite literally Killer shoes!! 100 times better that they’re a diy. Wait, i actually need those. Oh this is astonishing. I completely adore it. Monster shoes but eye catching shoes. I must say I love them. You know, for some looks. WHAT BRAND ARE THOSE SHOES ?? NOT JEFFREY CAMPBELL, RIGHT? i need them!!! thanks!